The beige version of the Point-Source Audio Series8 Omnidirectional Earworn Microphone (Audio-Technica) is designed for live sound reinforcement applications where ambient noise is low to moderate such as for concerts, plays, and public speaking. 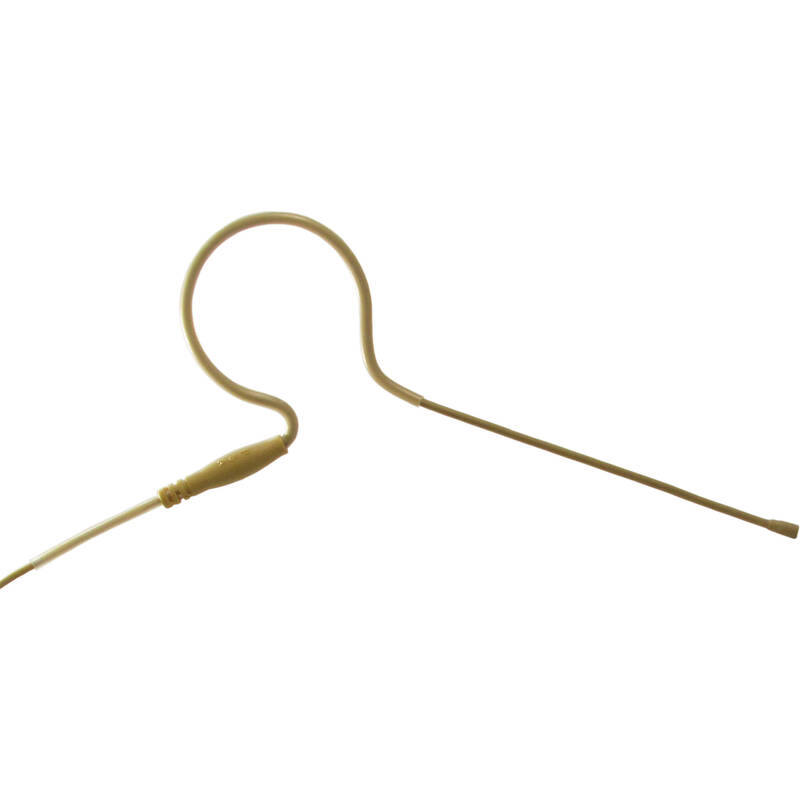 The microphone fits over either the subject's left or right ear and features a 360° bendable and unbreakable boom with an omnidirectional back electret microphone element. The IP57 waterproof rating helps prevent moisture, sweat, or makeup from interfering with the sound. The microphone can handle a maximum SPL of 148 dB with a sensitivity of -54 dB ±3 dB (0 dB= 1V/microbar at 1 kHz) and a frequency response of 20 to 20,000 Hz. The unit comes with a windscreen, clothing clip, storage box, a 4' cable, and an interchangeable locking 4-pin Hirose connector for Audio-Technica systems.